It is now more convenient than ever to book ferry tickets to El Nido or Coron. Save time and make the most of your Palawan vacation by reserving your ferry seats as early as now! You can now easily book a ferry from El Nido to Coron online for a hassle-free travel. The ferry lines currently do not have their own booking website so it can be a hassle to buy a ticket in advance. It is always recommended to reserve your seats ahead of time because the ferries get fully-booked especially during the peak season. 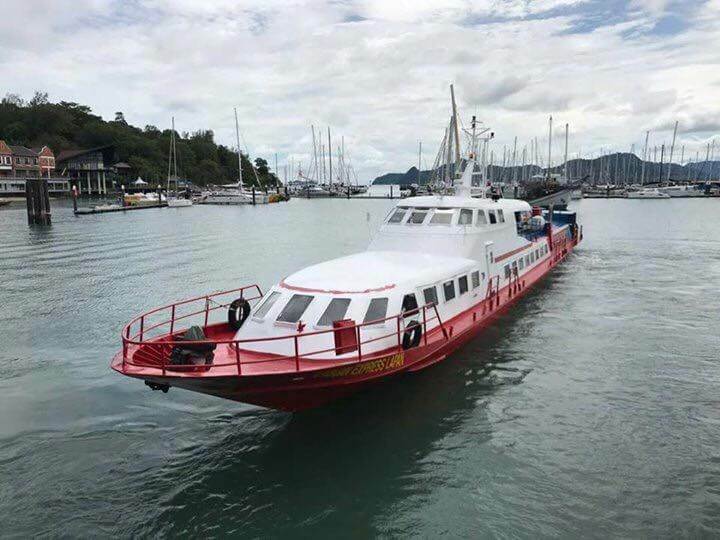 With the evolution of technology, travelers now have the possibility to book a ferry from El Nido to Coron online, and way ahead of time before the traveling date. This is without a doubt a more convenient option as it saves you mental energy and lets you focus more on the actual trip. You will avoid any unpleasant situations such as no ticket availability or lack of ferry schedules. And of course, booking online gives you more options as you are not only looking at one particular ferry company. Please take note that the ferry may get canceled due to sea and weather conditions especially during the rainy season. The biggest advantage of booking with us is that we will inform you via SMS or WhatsApp for any problems like last-minute issues, change of vessel or delays that might occur regarding your ferry trip to Coron or El Nido. In this way, you will be fully prepared to deal with any unexpected situation. The best way to get to Coron from El Nido or vice versa is by ferry. The ferry ride from El Nido to Coron takes three to four hours or depending on the sea and weather conditions. There are two popular lines currently serving the El Nido to Coron route, Phimal Fast Ferry and Montenegro Lines. All seats are subject to availability. Ferry schedules may change without prior notice. Please use our booking form below to pay via Paypal or credit card. We will send you a seat confirmation within 24 hours once we received the payment. Please enter the passengers' full names and ages. Note: Rates quoted are appropriate to the particular service at the time of quoting and these rates may change prior to the travel date. All prices are subject to availability and can be withdrawn or varied without prior notice.